NORTHAMPTON — Worries about the environmental impact of maintaining a lawn, from keeping the turf green and healthy to the fumes and noise created when it needs to be cut, have caused some people to wonder whether there is sense in having manicured grass surrounding their homes.By expanding his zero-pollution lawn care enterprise this summer, a Northampton High School junior is aiming to ease these concerns and change the perception about the significant environmental consequences to enjoying a lush, green landscape. 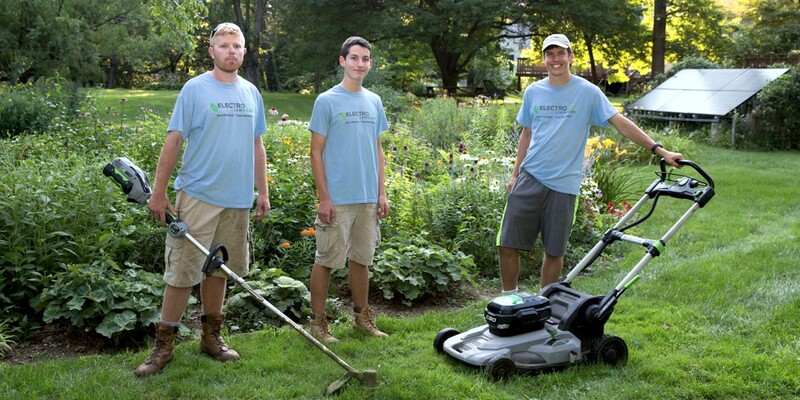 Since the start, ElectroCut Lawn Care has used entirely battery powered equipment, with batteries recharged with sunlight, rather than the gas-powered equipment that similar companies use. 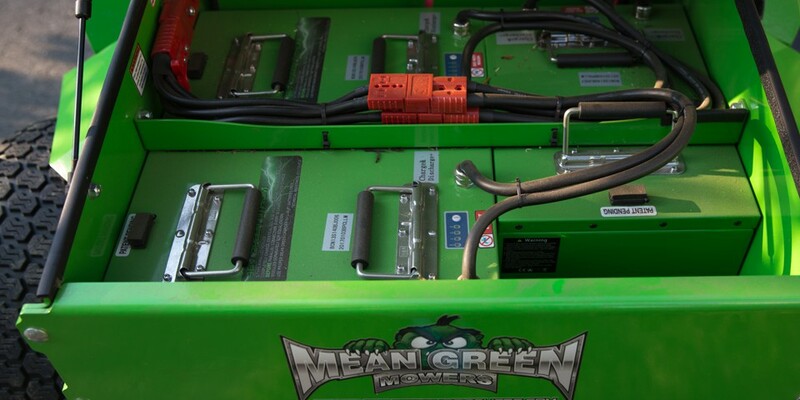 Each year, Hempstead said, he has reinvested the previous year’s profits to improve the company and this year is making a sizeable investment in a riding mower, featuring a solar-powered canopy, that he believes is the first in the region. 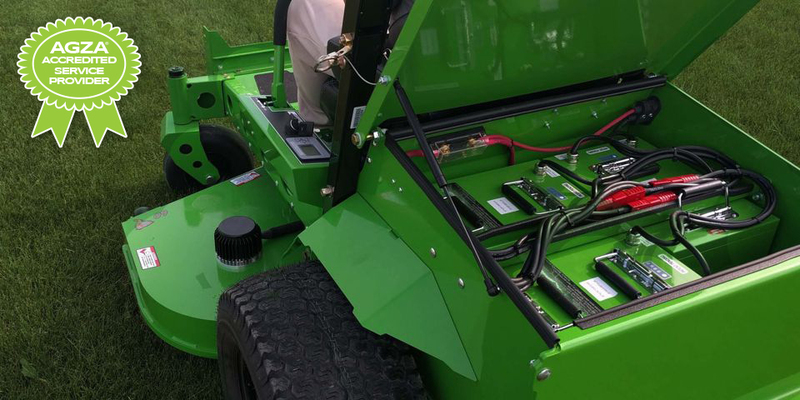 The Mean Green CXR commercial grade electric ride-on mower, which will arrive in the next several days from Mean Green Products of Hamilton, Ohio, runs exclusively on solar power, reducing the need to buy gas and to do various engine repairs. “Ours will be the first such mower ever delivered to the Pioneer Valley,” Hempstead said. This riding mower cuts at 11 mph and the only noise is made by the blades. Hempstead said this equipment will allow ElectroCut to take on bigger lawns and commercial jobs, as well. Hempstead said he hit upon the idea of starting a green lawn care company as a teenager because of his interest in protecting the Earth, noting that he has always walked to school. “I’ve always been really into the environment and learned how bad mowers are for the environment,” Hempstead said. He cites an Environmental Protection Agency study showing that a 3-horsepower gas powered lawn mower can emit as much air pollution as 11 automobiles traveling at 55 mph. When he started the company, Hempstead looked into biodiesel equipment, but learned that they are still 98 percent petroleum based, and could cause more hazards. 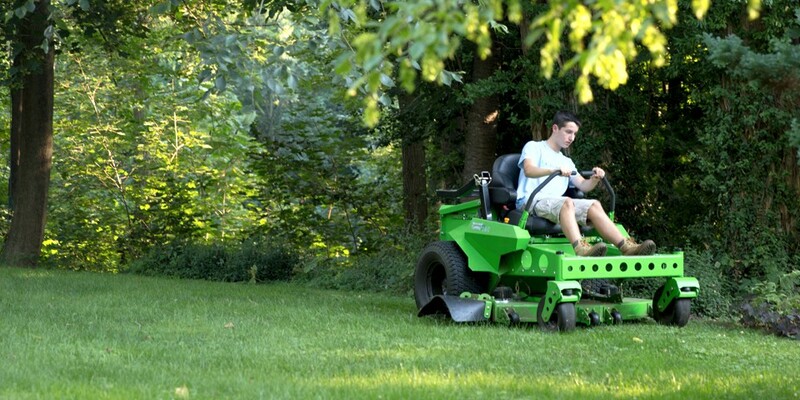 Since the start, he has purchased battery-powered, self-propelled push mowers that can run for about seven hours. The current fleet features two push mowers, a line trimmer and a leaf blower, all of which are also less noisy. Though the environmental benefits are real, the lack of disturbing homeowners and neighbors has been a selling point. Hempstead observes that one of his clients is a therapist who needs quiet when working with patients. Northampton resident Doris Held said peace, quiet and no pollution are the reasons she hired Hempstead. This year, with a driver’s license in hand, he will be expanding the reach of his enterprise and taking on a handful of employees, and will offer service in both Northampton and Amherst. Hemstead also brings some expertise in lawn care, talking to those who hire him about how they want their grass to look, with an ability to raise or lower the blades on the mowers to meet their preferences. 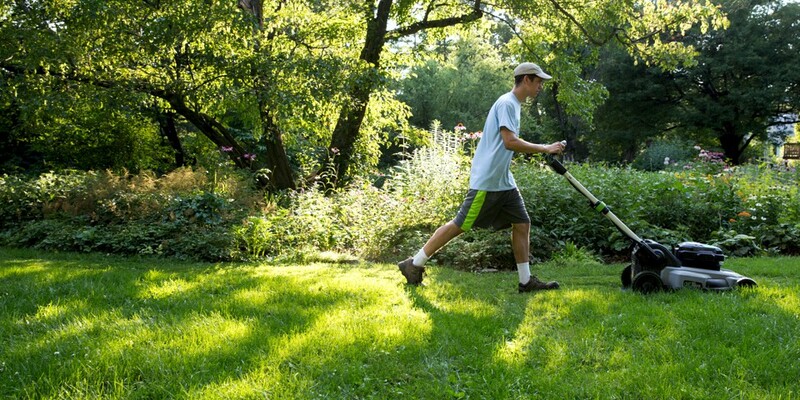 For clients, ElectcroCut can also do spring cleanups that get the lawn ready for the season ahead. While Hempstead may be the first to deploy some of this technology, he said it is sensible for other companies to begin using it, as well, noting there is plenty of business to go around.